Yesterday, the players of the Russian national team successfully reached the Turkish Kocaeli, where they start today in the qualifying campaign EURO-18. 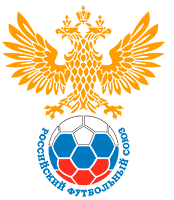 Recall that in the Russian national team, six players of Gazprom-UGRA, who will take part in the matches: Dmitriy Lyskov, Andrey Afanasyev, Vladislav Shayakhmetov, Eder Lima, Danil Davidov and Ivan Chishkala. The match will be shown on the official AMFR channel on YouTube and on the site in the LIVE section. The match will be shown on the official channel of the AMFR on YouTube.